UPDATE: Our Rockin' NDSS Studios project has been featured in an article on The Mighty! Check it out here. 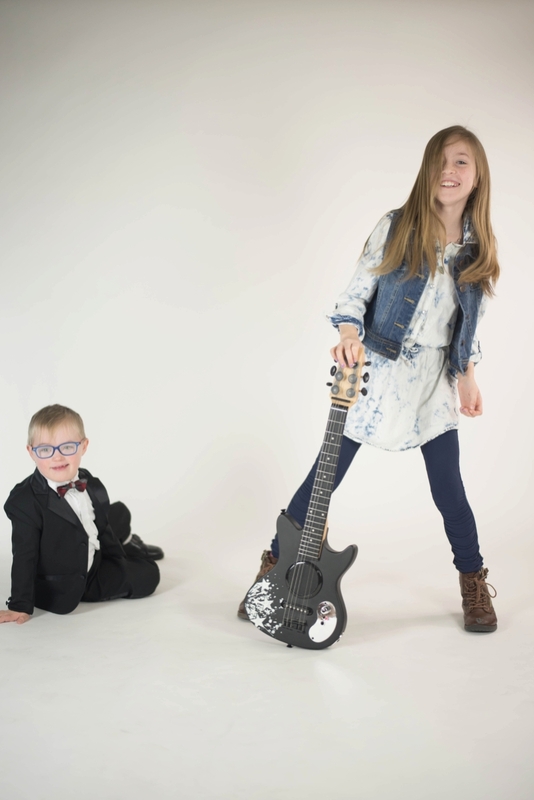 Last week's photo shoot at the National Down Syndrome Society in NYC was so much fun! It was a heart-warming, eye-opening, incredibly collaborative experience that left us all with full hearts, happy souls, and tired bodies. Overall, it was a huge success and I am truly honored to have played a small part in making this dream become a reality! You can read my full blog post by clicking here to learn more about these extra special photo sessions, what we're going to do with the photos next spring, and see every single one of our lovely & talented models who rock that extra chromosome. Here I am sharing many of our behind-the-scenes photos from our two days at the NDSS offices. We turned their staff's offices into dressing rooms, their hallways into makeup studios and hair salons, and their conference room into a photo studio. A little imagination goes a long way, and this amazing team of organizers, hair stylists, makeup artists, moms, dads, grandparents, cousins, siblings, models, and photographers truly showed what amazing things can happen when we all work together. Enjoy a peek into our #rockinNDSSstudios adventure! Three photographers excited for sessions to begin: me, Sherri Harnisch and Wendy Zook. Joey, our Slash model out on the streets of New York City! He really mastered the hard-core rocker look, tattoos (sleeves) and all!! Lady Gaga and Joan Jett in the makeup studio! A little bit of windblown fan action on our very own Mariah Carey! Katelynn celebrated her 5th birthday by coming to our photo session as Scary Spice! What a cutie! Kelly Clarkson and her twin sister. As a twin myself, you know I always have a special place in my heart for twins on camera! Wendy really got our little Pat Benatar to rock out. We had a full-on dance party in the studio to Taylor Swift's "Shake It Off" to get this little one in the spirit, and it truly worked! Her photos are phenomenal! Our Usher had all the moves once we put on his favorite song. Isn't she the most adorable Tina Turner? I love the missing front teeth! Our Buddy Holly was a little uncertain about the camera at first. His sisters started a dance party with his guitar, and before we knew it, he was rocking out all by himself. We couldn't resist a few fun photos of his whole family's jam session first, though! Sara's presidential duties at the NDSS also include custom makeup application. This little guy was an amazing band member for KISS! Fist bump with Bob Dylan! Mason didn't want to have all the fun by himself, so he pulled his big sister out onto the dance floor at the end of the session. More KISS band members and their family's dance party! Oh my goodness. This Elvis impersonator was seriously impressive. Mickey owns multiple costumes, he performs all around town, and he is REALLY, REALLY GOOD at what he does. I loved watching him when he was totally "in the zone" as Elvis during his shoot with Wendy. Teaching his sister and father how to groove. Runaway baby! Johnny Cash and June Carter. Thank you, thank you, thank you! From the bottom of our hearts. A huge thank you to every single person that made this event possible, turning it from a dream into a reality. It was a labor of love, and these two days spent sharing stories, making new friends, and bringing dreams to life were so incredibly worth it. This was most definitely the most rewarding professional experience of my year, and it's all because of the incredible individuals that came together to make it happen. Now that you've had a behind the scenes look at our NYC experience, don't forget to check out our full blog post here on the Nicole Starr Photography page, too! To see more of this journey, visit blog posts by fellow photographers Wendy Zook Photography and Sherri Harnisch - Picture Taker.